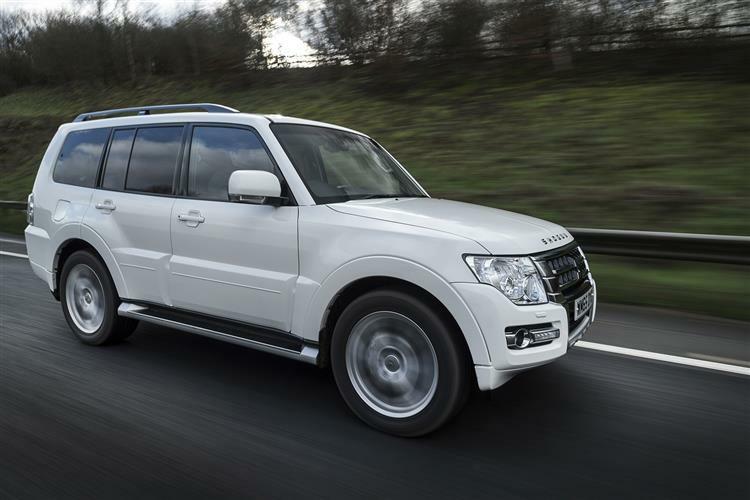 Mitsubishi's Shogun has been a seemingly constant fixture amongst family-sized 4x4s. These days, you can no longer get a manual model but the auto version still has a devoted following. Jonathan Crouch takes a look at what you get for your money. 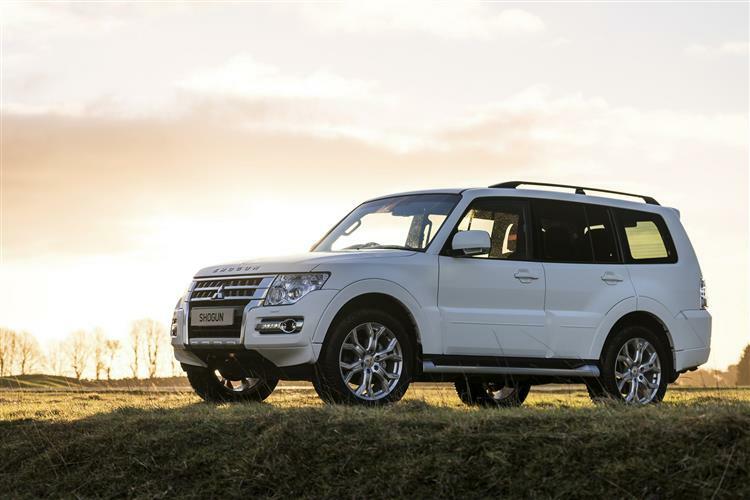 Not all large, luxurious family-sized 4x4s have to be pretend off-roaders, really more tarmac-orientated. Here's a five or seven-seater contender that really can cut it when the going gets rough and has a proper 4x4 heritage with a badge you can trust in this sector. 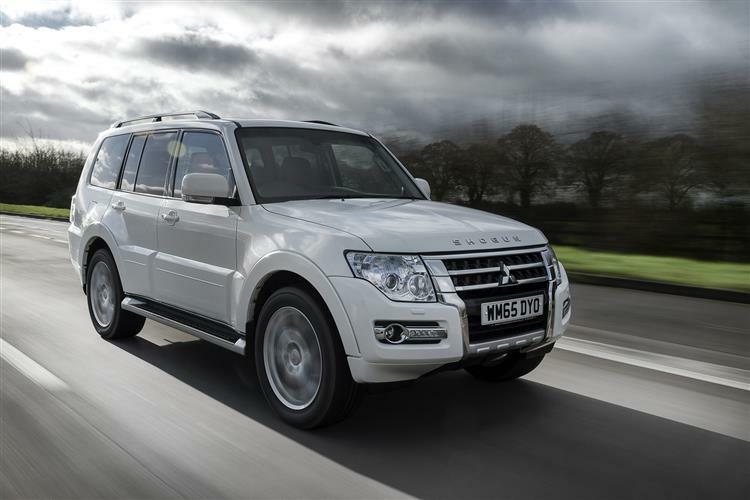 This fourth generation Mitsubishi Shogun offers loads of space, decent value for money and an unstoppable feel. Though it can't match the road-going prowess and interior class of German large SUV rivals, it's more practical than any of them. Authentic, capable and very tough, it'll probably out-last you. 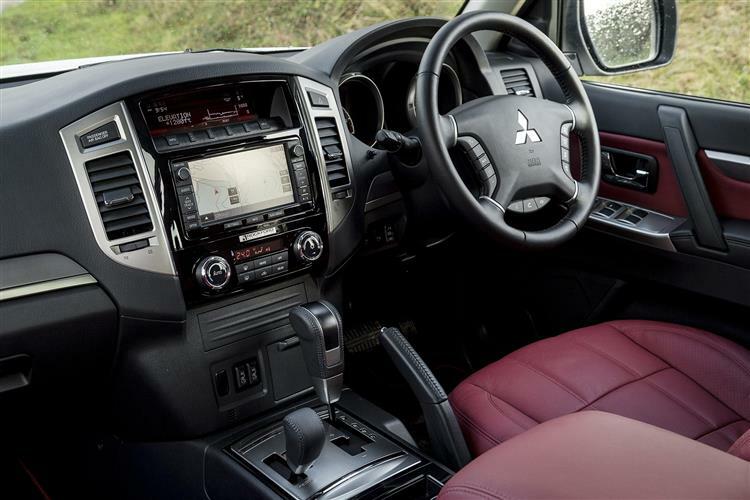 Mitsubishi likes to see its Shogun as the 'original' large 4x4, an SUV tough enough to venture where others feared to tread, yet offering the interior luxury of a high-end saloon. Back in 1982 when it was first launched, it was the only real option for those unwilling to stretch up to a Range Rover and sold in prodigious numbers until the Nineties arrived along with a host of new rivals, nearly all prioritising a smoother roadgoing experience. 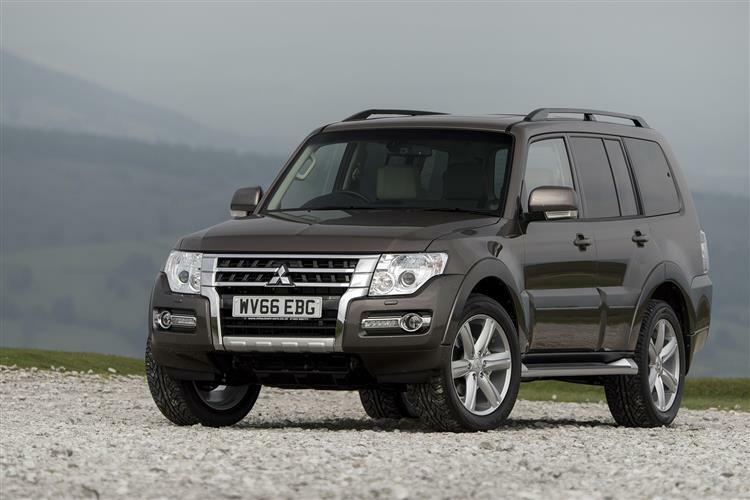 It took until the new millennium for the Shogun to make any real attempt to sharpen up its act on tarmac and even then, it continued to buck the luxury 4x4 trend by prioritising ultimate go-anywhere ability over ultimate roadgoing response. As the decade wore on, comparisons with luxury 4x4 models like BMW's X5, Mercedes' M-Class and Audi's Q7 seemed more and more irrelevant. This was something different, like Toyota's Landcruiser a really 'authentic' large SUV designed for people who actually wanted to fully exercise its rugged virtues. People living in remote areas. People who wanted to tow. People who wanted more than just a lifestyle statement. These folk knew what they were getting with a Shogun, but there weren't enough of them. 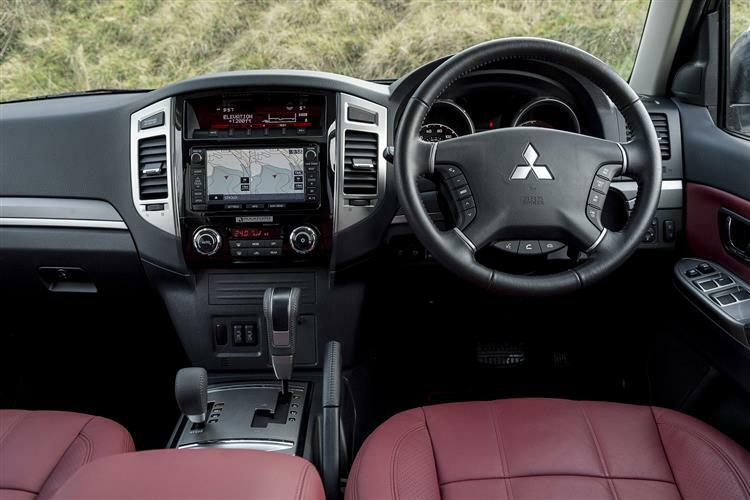 Hence Mitsubishi's continual attempts to broaden this model's appeal, most notably with a far-reaching package of improvements in 2012, then a round of price cuts in 2013 and a general facelift in the Autumn of 2014: that's the version we're looking at here. It's only now offered in automatic form but you do still get the choice of either short or long wheelbase bodystyles. If you're after the last word in off road ability, the Mitsubishi Shogun, despite the 11 Paris-Dakar wins that it can boast, is not it. 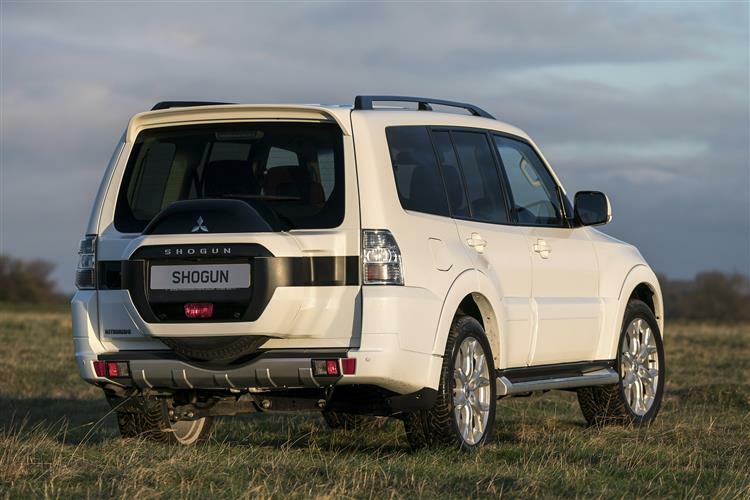 What the Shogun does offer is a very usable compromise between on-road refinement and off-road ability that will be more than adequate for most. If you want something that's a little more adept in the deep stuff, you'll be looking at something like a Land Rover Discovery. Mitsubishi's engineers will argue with this, of course, and to be fair, this car is very competent indeed in the rough stuff. 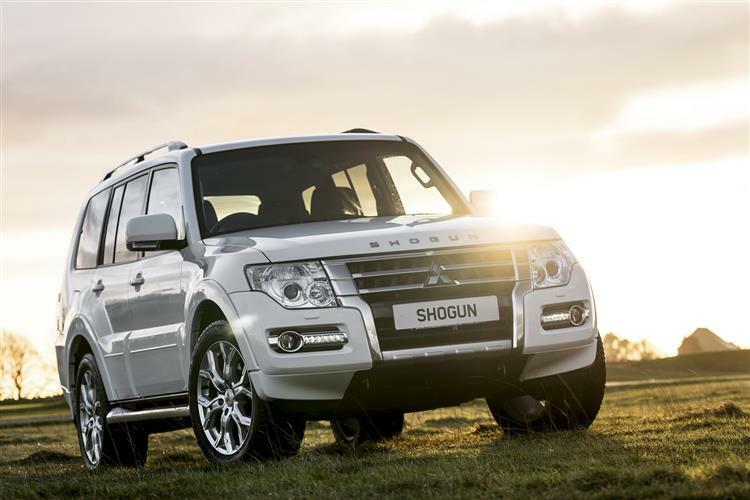 The Shogun uses an AWC all-wheel control system, which works in tandem with a 'Super Select 4 II' transfer case. Using a centre differential lock to split available torque 33:67 front to rear, this system offers no fewer than four transmission modes; high range rear wheel drive, high-range full time four wheel drive, four-wheel drive with a locked centre differential for slippery conditions and low range four wheel drive with the locked differential for hauling yourself out of a mud bath. On road, owners will appreciate the added urge of the 3,200cc common-rail diesel that's now good for 197bhp, paired to the auto gearbox you now have to have. This makes the Shogun rather punchy off the line, getting to 60mph in just 10.5 seconds in auto five-door guise. The ride quality is far better than in old-school body-on-frame SUVs and the extra length of the five-door car further irons out poor surfaces. Noise levels at motorway cruising speeds are a little higher than more urbane rivals, but as a vehicle that works well both on and off road, the Mitsubishi is packed with very sensible compromises. Though the front end of this model has gained a minor spruce-up in recent times with a deeper more integrated front grille and smart LED daytime running lights, the shape remains instantly familiar, the short overhangs, the upright windscreen, the strong high flanks, the flared wheelarches and the rear-mounted spare wheel all combining to remind buyers that this is no bling smoothie, instead wearing its credentials on its sleeve. Three door short or five-door long wheelbase models are offered. It's properly big too, at least in long wheel base guise. This is 4.9m long, 1.9m wide and 1.9m high so you'll need a garage with a fair amount of headroom, especially if you fit a roof box for ski trips. Mitsubishi's innovative 'Hide&Seat' system quickly converts the long wheelbase car from a five to a seven-seater with two seats that fold from a flat boot floor to create a third row complete with integrated head rests. The three door car is a little more pinched in the back, as you'd expect for a vehicle that sacrifices fully 235mm in wheelbase to its big sibling. Mitsubishi's price cuts in recent years mean that you can now own a family-sized seven-seater Shogun for the price of a much smaller CR-V or RAV4-style compact SUV. Which is worth thinking about. The Shogun is fairly unique these days in SUV-land in offering a range of short wheelbase 3-door options, now priced in the £29,500-£35,000 bracket. Long wheelbase 7-seat variants start at around the £32,000 mark and range up to around £40,000. The most obvious rugged rivals are Toyota's Land Cruiser 2.8 D-4D and possibly Land Rover's Discovery both of which cost significantly more. And it gets better from Mitsubishi's point of view. Plusher versions of both the Toyota and the Land Rover sit well into the £45,000-£50,000 bracket, making this Shogun look very good value indeed. Whether you choose a SWB 5-seat or LWB 7-seat Shogun, there's just a single 197bhp 3.2-litre DI-DC diesel engine on offer and it now comes only mated to automatic transmission. Equipment levels include an alarm and keyless entry, black roof rails, heated front seats, electric windows and mirrors, plus climate control and 18-inch alloy wheels. Top models get the MMCS 'Mitsubishi Motors Communications System' colour screen with its wealth of driver information, including audio settings and a display from the fast and efficient satellite navigation set-up. Built in here is a 40GB hard disc drive that can also act as a music server, able to store up to 2,000 songs. Ultimately, emissions regulations will kill off this generation Shogun model; they've already made sure that we can't buy the manual gearbox version in this country because it can't meet the Euro6 standard. But then this is a very big and heavy vehicle, so you wouldn't expect it to sip fuel, especially if you're running loaded or towing. The kerb weight of long wheelbase car is a hefty 2,275kg and this takes some energy to get moving. The plus side is that whole life running costs are on the reasonable side, depreciation offset to a certain extent by the low up front asking price and by a steady demand for this sort of car, a genre that's a bit more immune to the vagaries of fashion than typical compact or luxury 4x4s. Insurance is on the reasonable side thanks to the Shogun generally being purchased by more mature customers who don't park them outside nightclubs. Fuel economy is rated at 34.9mpg (combined) for an automatic long wheelbase variant, with 213g/km of CO2. 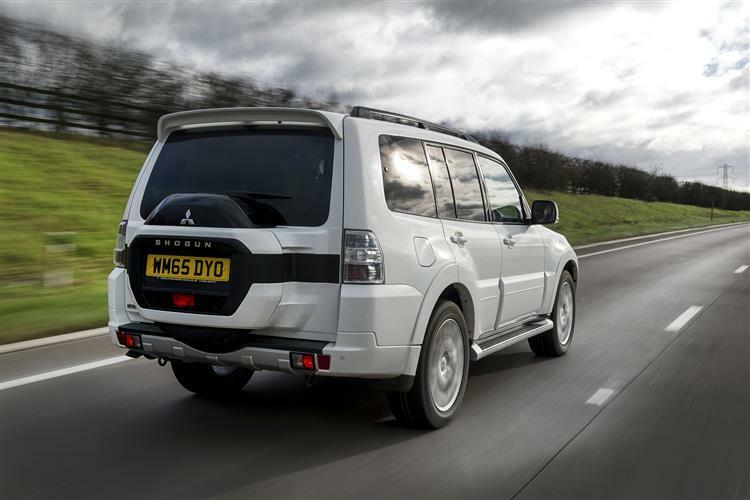 The Mitsubishi Shogun occupies a small but important niche in an ever-evolving 4x4 market. As sales of the more ostentatious cars wane in favour of more environmentally responsible transport, there will remain a core requirement for an all-weather, all-terrain vehicle that can tow, fulfil the family responsibilities and not be too precious about things in the process. The Shogun discharges these duties with a minimum of drama. This fourth generation car brooks no great surprises but in many ways familiarity has bred respect for Mitsubishi's low-key approach. Solid engineering, a thoughtful compromise between off-road durability and on-road refinement and value pricing all combine to make sure that what some people may consider a throwback is, in fact, a vehicle of keen relevance. We'd be prepared to bet that Shoguns will still be in British dealerships long after Porsche Cayennes and Range Rover Sports are distant memories. Ultimately, perhaps this statistic is the most telling one. Seven in every ten customers for this car go on and buy another one. It's easy to see why.